the local list: Finally Found my Heaven! Madee Thai is a VERY small hole in the wall Thai restaurant on 17th street, tucked between a beauty supply store and a brick wall (literally). For those that are scared off by hole-in-the-wall places, please don't come here. Because then it won't be crowded when I show up. This is one of the best Thai restaurants I have had in Southern California (yes the entire location), and I am afraid of spreading the word. However, it's too good not to share. The best part about this place is the portions. Served on plastic ware (even when you dine in) the Pad See Ew is piled on and comes out SMOKING hot. 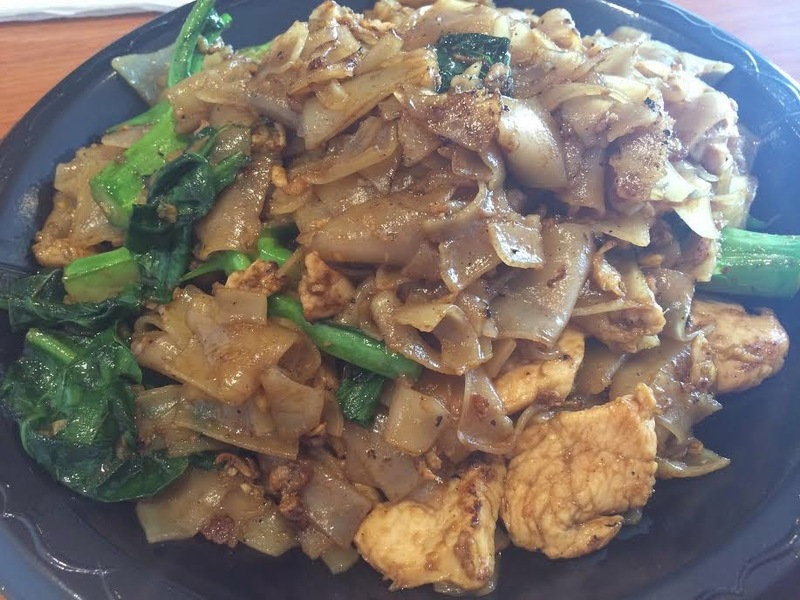 This noodle dish is my go to, and I use it to compare all Thai places. I was not disappointed. I also ordered a chicken-rice dish, which was SPICY, but again SO good. 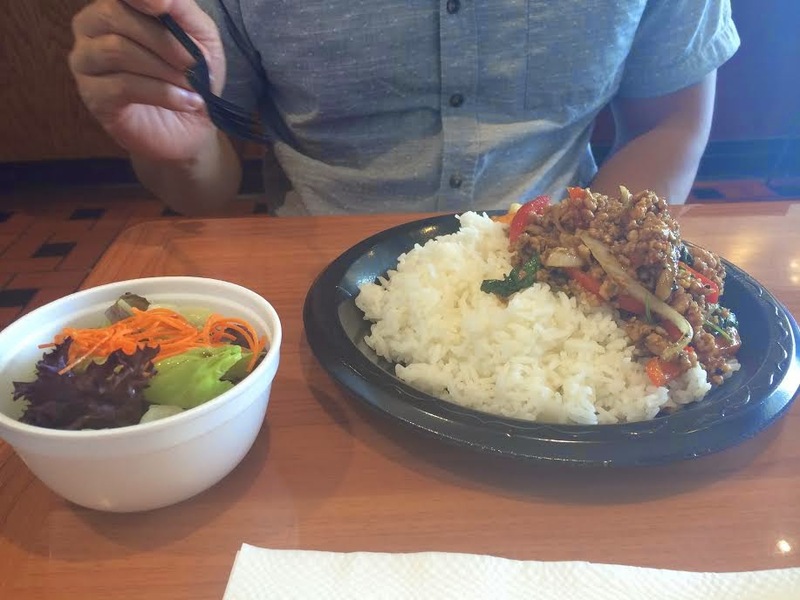 It was so "authentically" spicy that I only could eat it with lots and lots of rice. All the rice dishes come with a side salad, which isn't anything special but I guess gives you some greens? 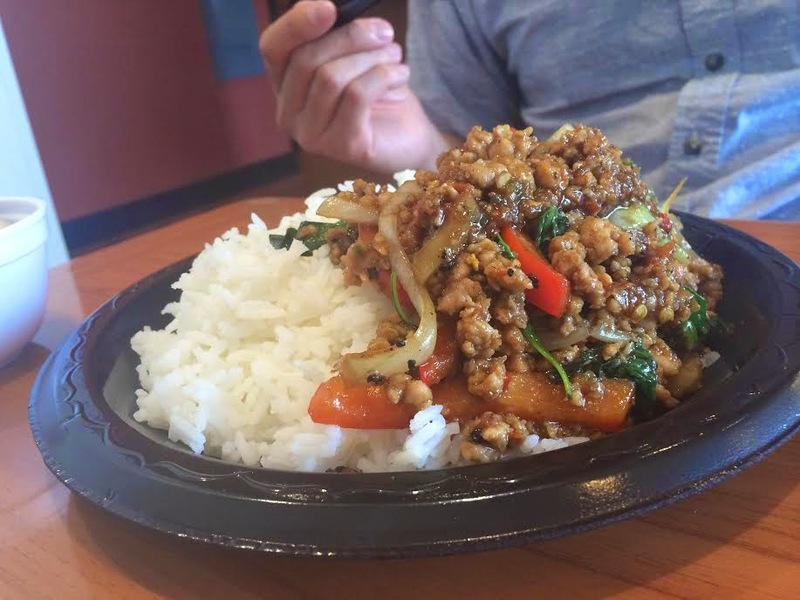 I have heard that everything on the menu here is fantastic, and because it's typically a place for take out orders there is never too long of a wait. Run don't walk to Madee Thai. 5 out of 5 stars for best food ever...okay maybe not ever, but I am drooling right now.